Assuming the media is not being used by our controllers to lie, this (local to me) story is disturbing on many levels. Why do “relatives” of vics/tims insist on starting GoFundMe (I won’t link to this one) pages before the body is even cold, let alone in the ground? This single, crass, cold and calculated move should on its own tip you off that there is a problem with the story. In this case, it’s an education fund for the 8 year old orphan (no mention of the father in the story). Clearly waiting a week or two will make no difference to what post secondary institution this child chooses. GoFundMe is a well known tool used by psyop operators to pay for actors and extras who participate in these scams. It may be the only pay they get. I still think it’s fraud, but perhaps not one that’s criminally chargeable (psyops are usually performed within the law). Police have confirmed the death of a woman in an incident Monday morning at a residence in north Oshawa. A man also sustained serious injuries during the incident, which was reported just before noon Jan. 23 at a home on Simcoe Street North, just south of Coates Road, Durham police said. 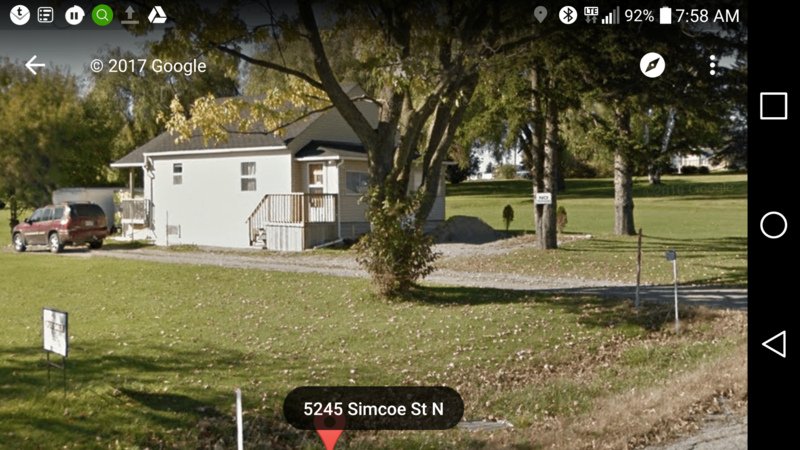 The latest google shot shows this house was (is) for sale. 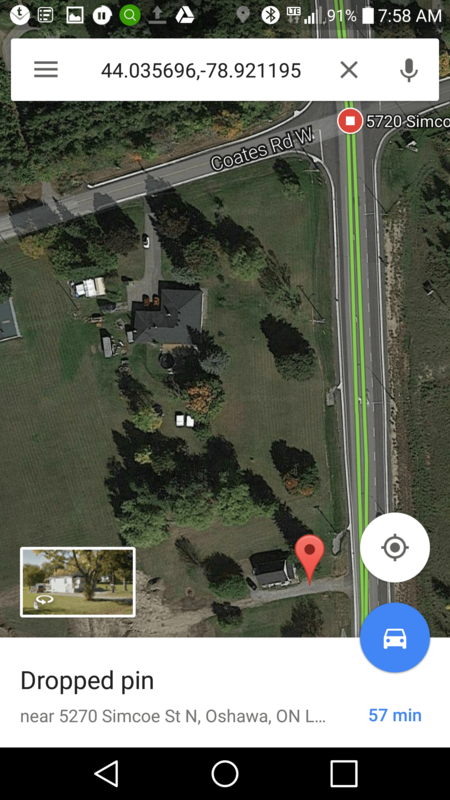 If you believe the story, then the girl could only have run to the abutting house of the anonymous neighbor on Coates Rd. If you did a good deed, why would you want to remain anonymous? Aren’t you a hero, like our Sandy Hoax friend Gene Rosen? This story is minor and local, but any digging by my worldwide fakeologists is welcome. As usual, apologies to real victims of crime. If this is a fake event, then shame on our controllers and their co-conspirators and may the lies and frauds eat at their souls and condemn them to bad health and an early demise. This entry was posted in Suspicious media events on January 26, 2017 by ab.